Jobs will be implemented into the jobs board. The Guinness World Records (GWR) Creative Consultancy works with brands and agencies to co-create PR and advertising campaigns, as well as staff engagement and entertainment programs, which have record-breaking at their heart. As a key member of the GWR Creative Consultancy team, the B2B PR Manager will plan and execute PR initiatives and campaigns raising awareness of GWR commercial services within relevant trade and business media, as well as contribute heavily towards creative briefs received by the commercial sales team. Responsibilities include planning, identifying trade media opportunities and trends, writing press materials, pitching, preparing spokespeople for interviews or speaker opportunities, attending brainstorm meetings and contributing to proposals for commercial clients. This role also includes an element of consumer activity, working closely with the Digital Content Executive to produce consumer stories which build GWR Arabic online audiences. 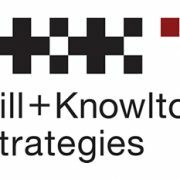  Manage and execute B2B PR initiatives and campaigns: including research, planning and executing campaigns which deliver against business objectives.  Identify trade PR opportunities across the business, identifying commercial and licensing deals that are of news relevance to trade titles and generating profile opportunities.  Prepare assets and materials for B2B campaigns including writing press materials, identifying and maintaining media contacts, pitching, and sell-in to trade media, approving press materials from commercial clients.  Work cross-functionally with B2B Marketing to deliver events and speaking opportunities: including PR & events industry events and opportunities with the PRCA.  Copy Writing for case studies which can be used for media liaison, contribute to quarterly B2B newsletter and quarterly internal reports.  Provide PR-led insight in weekly creative brainstorm sessions through thorough research of client and brief and active participation in idea generation and campaign planning.  Support commercial clients who are looking to achieve PR: by understanding the brief from the client and advise on how best to leverage the GWR brand to achieve PR for their event.  Ensure amplification of commercial clients including working with B2B marketing to identify commercial clients that would make for good case studies and providing recommendations to potential clients on how to amplify campaigns.  Work collaboratively with Senior Marketing Manager to write pitch documents and presentations for potential clients.  Report to the wider company on the PR achievements of GWR’s commercial clients using relevant media, social media and where applicable, sales uplift or other given brand awareness metrics.  Attend meetings and answer questions from clients and provide ideas on how to maximise PR opportunities with GWR attempt. 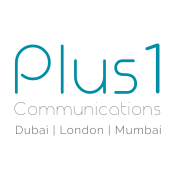 Q Communications is looking for savvy and forward thinking Executives to join its fast growing team in Dubai and Abu Dhabi. Creativity, innovation, and organisation are key for the role – you will be working across an array of regional and international clients from hospitality and F&B to corporate and FMCG. The working environment is fun, friendly, and fast-paced – we’re looking for individuals that are switched on and ready for a challenge. Applicants must have at least 1 years PR experience. If you’re ready to join our dynamic team email Danielle.o@qcomms.ae and let us know why you’re the next PR star. Brazen is looking for PR and social media account handlers at all levels to join its fast-growing team based in Dubai Media City. Creativity and dedication are key, as well as excellent client servicing skills and the highest standards of work in all areas. Applicants must have communications experience in the MENA region. We are seeking an enthusiastic and hard-working PR Account Manager to join our Dubai team and work across our lovely portfolio which spans the entertainment, hospitality, education, and design sectors. 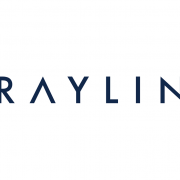 A results-driven Corporate PR Account Manager is needed on a full-time basis to join Grayling – an award-winning PR agency in Dubai. The Account Manager will be responsible for managing multiple corporate clients. Strong relationships with the business/trade media and managing internal teams and processes skillfully are a must! The candidate should have a minimum of three years’ experience in B2B sectors (The candidate will primarily work on clients in the professional services sector). Develops a personal network of internal and external industry contacts, identifying new business opportunities resulting from these contacts to the benefit of the Grayling business. If you think you have what it takes, send your CV to Diane Tana at Diane.tana@grayling.com or apply here. 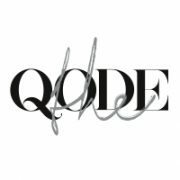 The Qode is looking for a rockstar Events Executive with at least one to two years of experience. The right individual will thrive in a fast paced professional environment and find motivation and fulfilment in the exciting challenges of a growing company. There is a lot of room to grow within our agency, so motivation, dedication and ability to multitask well are skills necessary for this role. 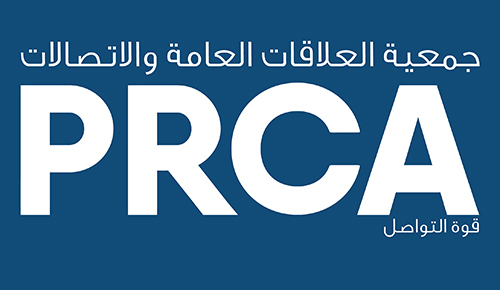 M&C SAATCHI PR UAE is seeking an Account Manager with 3-5 years of experience in PR. Support annual communications planning for client community outreach time. M&C SAATCHI PR UAE is seeking an Account Executive with 1-3 years of experience in PR.